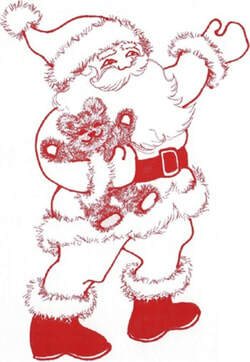 Boulder's Best Family Holiday Event! A Boulder Tradition since 1972! 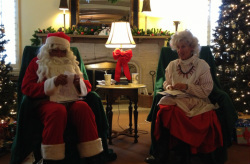 Santa and Mrs. Claus will be there all day to listen to your child's holiday wishes. 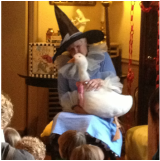 Enjoy festive activities and visit with our own Mother Goose who has been telling her tales at Santa's House since the early 1970's and claims to be over 100 years old! 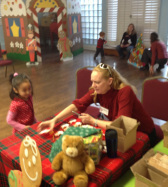 The holiday Bear and Puppy are waiting to greet families as they arrive and love to pose for pictures with the children. Have fun playing carnival games geared to the 6 and under group. Game tickets are a quarter each. Everybody wins! Tokens can be redeemed for stuffies, books, colorful slinkies, and all sorts of fun prizes. The entire family will enjoy the festive holiday goodies offered at the Holiday Bake Sale table!